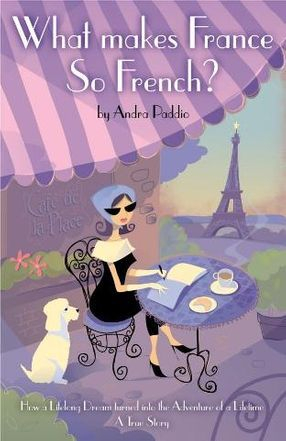 "A charming tale of Canadian mum-from-the-suburbs, Andra Paddio, seduced by the lure of faraway France..."
Paris: the City of Lights - the most visited city of the world. Why do so many people dream about visiting that far off romantic place? Why do so many tourists visit France and what are they looking to find? When I began learning French in my bilingual country, I too was fascinated by that far off place. Perhaps it was the pictures in my textbooks or the fact that France was so foreign and different. As an adolescent, I absorbed as much as I could about French culture and I learned the French language to the very best of my abilities in an 'anglophone/anglo-saxon' (as the French say) country. So, when my very comfortable 'first life' as I like to call it, came to a sudden and abrupt end, that all of these questions and feelings about France came back to me. Was life telling me something? Perhaps it was it time to have an adventure and discover the answers to a lifetime of questions and at the same time, discover a little bit more about myself? What Makes France So French? is a true story that details my life in France; a personal voyage from a young impressionable child, determined adolescent and then university student who learned French in a predominantly English speaking province. I was so fascinated by the French language and culture, that I became a language teacher to share my love of all things French. When I came to the end of my road, I choose to take an unknown and less traveled route. It was in the turmoil and distress that so many things that became clear to me. At that turning point in my life, I learned that you can travel the world to find beauty and your inner strength, but when you return 'home' (wherever that may be) the real beauty of life is carrying it all with you each and every day and then sharing it with others. How would you like to win a FREE parcel of products from France? All you have to do is find us on Facebook and share Passport to France's Social Media Promotion listing. You can also share it on Pintrest. 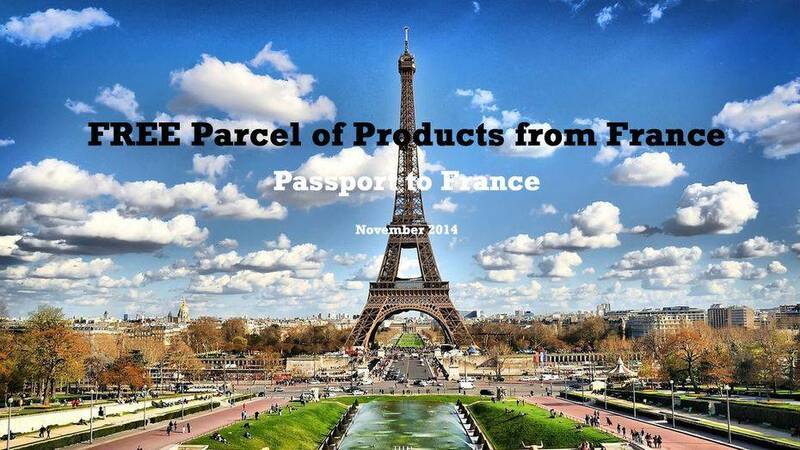 You will automatically be entered to win a parcel of products shipped directly to you from France curtesy of Passport to France, it is as simple as that. Bonne chance!